Home National US News Protests to Hit CBS Friday Over Big Boi Super Bowl Fur Fiasco! LOS ANGELES, Calif., Feb 08, 2019 (SEND2PRESS NEWSWIRE) -- JaneUnChained News Network, a 501(c)(3) based in Los Angeles, announces that animal lovers across the nation are expressing their disappointment and disgust over the glorification of fur by CBS during its Super Bowl halftime show as rapper Big Boi appeared drenched in fur. In a tragic irony, the word LOVE then filled the screen. The Los Angeles City Council recently voted unanimously to draft an ordinance that would ban the sale of fur, after testimony on the industry's extreme cruelty. Armani, Michael Kors, Gucci, Versace, Burberry, Tom Ford, Givenchy - and other top designers - have renounced fur and gone cruelty-free, joining the ranks of Stella McCartney, Tommy Hilfiger, Ralph Lauren, Vivienne Westwood, and Calvin Klein. Critics say the network's decision to ignore an evolving culture is a slap in the face to those who have worked tirelessly to end this inhumane industry. They are calling it the ultimate wardrobe malfunction! JaneUnChained.com was founded by award winning TV journalist and bestselling author Jane Velez-Mitchell. JaneUnChained.com, and its associated social media platforms, is a digital news network for animal rights and the compassionate, cruelty-free lifestyle. Also known as #JaneUnChained, the outlet produces multiple daily videos on animals' rights and the vegan lifestyle. 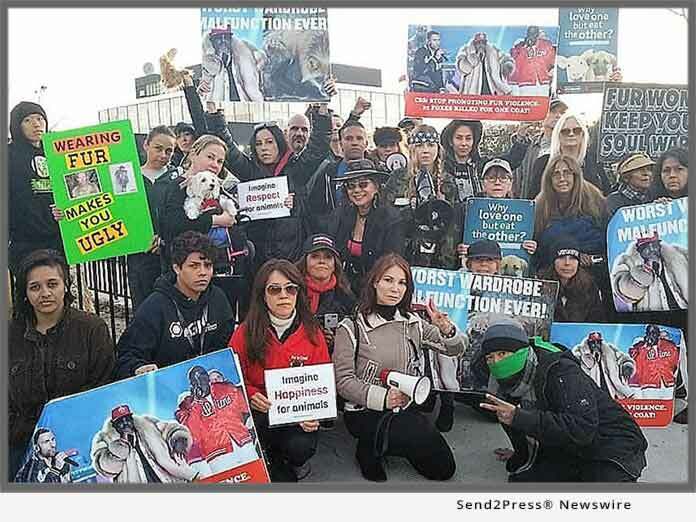 *PHOTO Caption: These animal lovers converged to protest outside CBS Television City in Los Angeles and are coming Friday at 4 p.m. Pacific because they are devastated over CBS's glorification of fur!